While we've known for quite sometime that Resogun would feature a co-op mode, what we didn't know was just how it would work or play out. Today you can find out for yourself, as the shoot em up is available for everyone with the launch of the PlayStation 4. Better yet, PlayStation+ members can get the game for free. 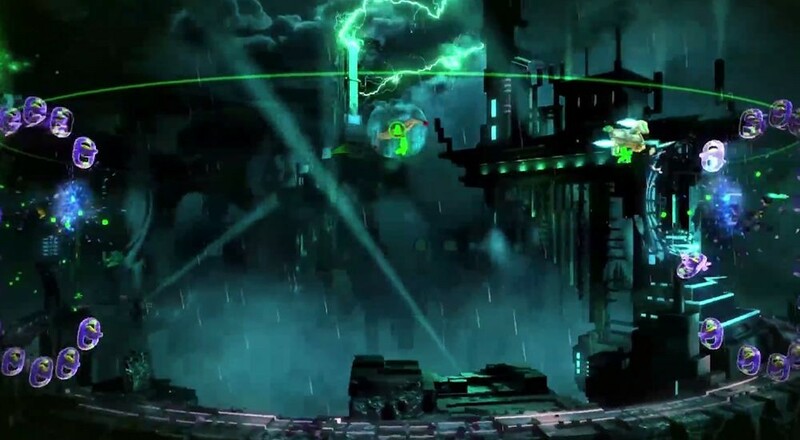 Resogun will feature two player online co-op through the entire game. Players can team up using three different ships, each with their own strengths and weaknesses. The differences come from three stats - Agility, Overdrive and Boost. Players can then work together towards co-op specific leaderboards and trophies for the game all while blasting away to a pulsing soundtrack with some impressive visuals. We had hoped to bring you some exclusive information and media regarding Resogun's co-op mode, but things just couldn't line up in time for launch. Rest assured this weekend we'll be playing plenty of the game and hopefully streaming right to the Co-Optimus Twitch.TV channel. We did chat a little bit with some of the Housemarque team about the game and their previous titles like Super Stardust HD, Dead Nation and Outland - all which features co-op play. But why does the Finnish developer take the time to add in our favorite gameplay mode? Co-Op is always fun cause you share the experience with a friend. The challenge and reward is so much better when it is instantly experienced by two. All of their games have consistently supported co-op and all received solid review scores from us in the past. We have high hopes for Resogun. And while we were disappointed to hear the game would only feature online co-op, Housemarque did hint we might be seeing couch co-op coming in the future. #CouchesAwaits. Page created in 1.4795 seconds.